New York: Random House, (1961). First Edition. Hardcover. Near fine/near fine. 8vo. Beige cloth, orange and black lettering to front, spine. In original illustrated dust jacket. 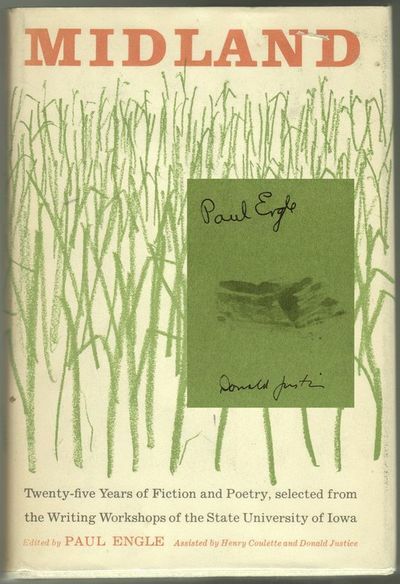 SIGNED by editor Paul Engle and assistant editor Donald Justice to first endpaper. Jacket with mild shelf wear, small wriknle to lower, rear. Small area of discoloration to first endpaper between the two signatures, otherwise clean, sound.